I continued my personal down time by driving to London for a week of exploring old buildings. We tourists come to see the glory of architectural history and want things to stay the same as much as possible, forgetting that most of these very old buildings are still being used by modern people. Here are some examples of how historical buildings are used today. 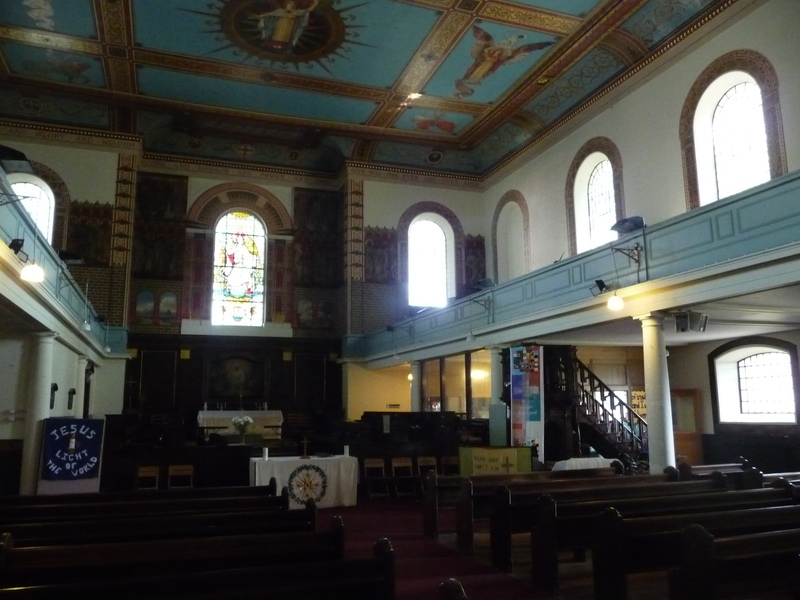 On Sunday I worshipped in a building that is more than 850 years old, St. Mary’s, the Anglican parish church in Luton, Bedfordshire. About 110 years ago my grandfather Alfred Pellowe joined its boys’ choir and sang in it for several years. 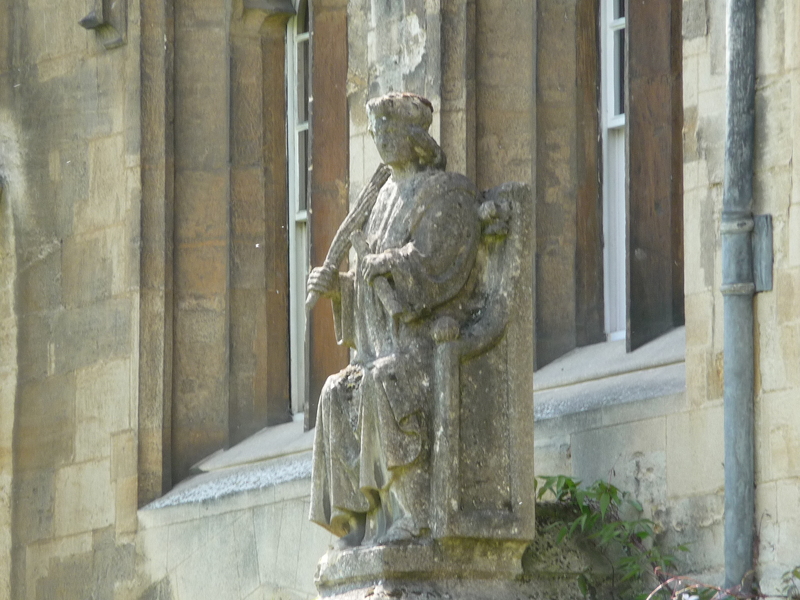 The choirmaster took him to sing at many recitals, including one that I have a program for on the Isle of Wight in 1905 listing him as a soloist. A century ago this church had an outstanding church music program. 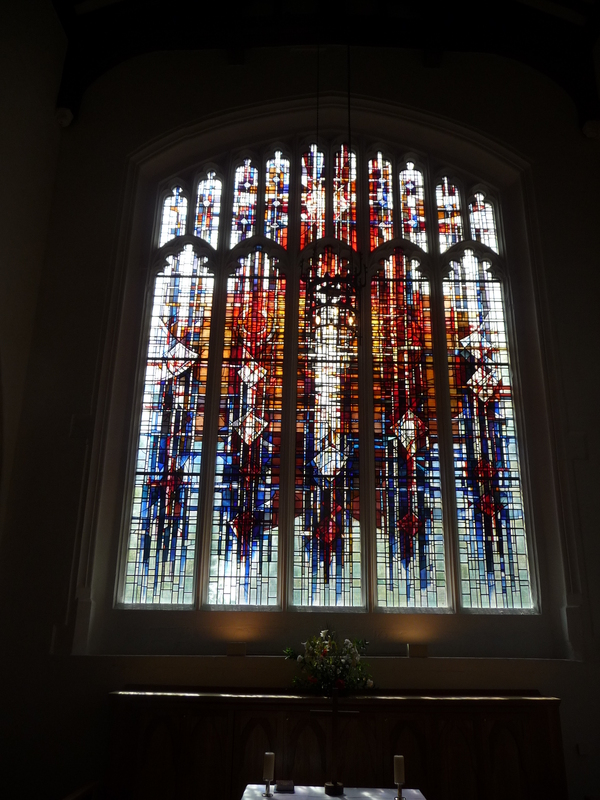 I told my dad that I was going to attend a service at this church, so when I walked in I felt it was a special moment as I honoured the memory both of my dad and of his dad. I was in for quite a surprise! Today St. Mary’s describes itself as an evangelical, charismatic church. The music was no different than what I sing in my own Pentecostal church (although they had a saxophone in the band that we don’t have). No organist in sight. Fortunately I toured the church during the week and an organist from the Midlands was rehearsing for a recital, so I got to hear the organ then. There was no choir either, just the frontline singers with the worship leader. I sat in a side aisle, with three fat pillars blocking the view of the main screen with the words. Each pillar had been fitted with a large monitor to overcome this problem. What a change from the old days! The church was full and the congregation was young and ethnically diverse. It is not a large church, but there was quite a flood of children as they left the service for children’s church. The congregation is using a very ancient building, but it has thoroughly modernized what they do in it. They are preserving the mission while adapting the methods of pursuing it. A modern stained glass window in the 850 year old St. Mary’s church. Dunstable Grammar School founded in 1727, this building was built in 1887. 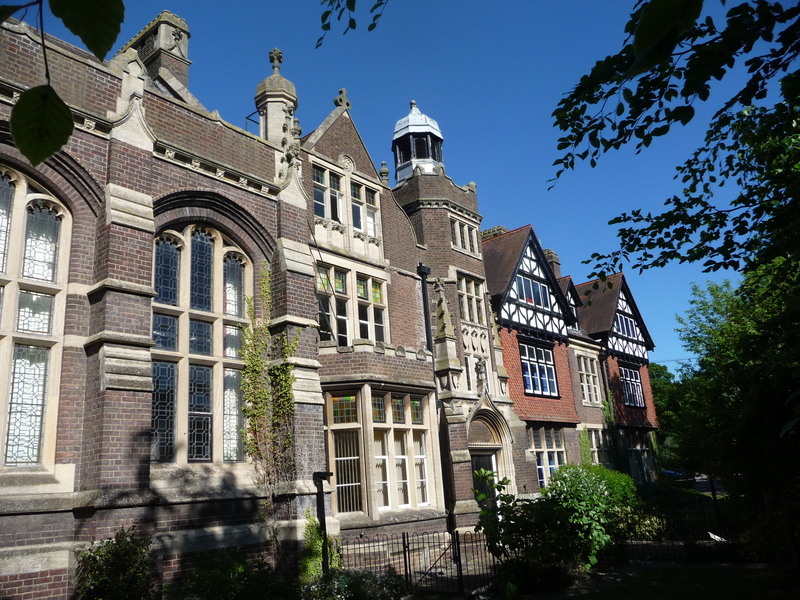 I visited the former Dunstable Grammar School buildings, in Dunstable, which Alfred Pellowe attended as a boy. That school sold the property and moved to a new location not too many years ago to free itself of the limitations of the past and start over. I didn’t visit the new school, but their apparent strategy is to reduce maintenance costs and design a facility that works for modern schooling. Again, they are staying true to the mission and throwing off anything that has become an impediment. 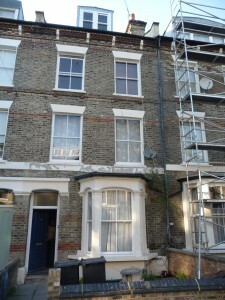 The quaint buildings with character were not valued highly enough to be kept. But one man’s garbage is another man’s treasure. The Church of England bought the site and runs a church school there today, Ashton Middle School. The head teacher (principal) Nick Sharpe, took me around. The buildings are listed as historically significant, so the outsides cannot be changed. Like has to be replaced with like; for example, the windows. But inside, all the old wooden desks and furnishings have been removed. The ornate ceilings, walls and plaques honouring award recipients are still there, but everything else has been modernized. They are adapting the buildings for modern usage. 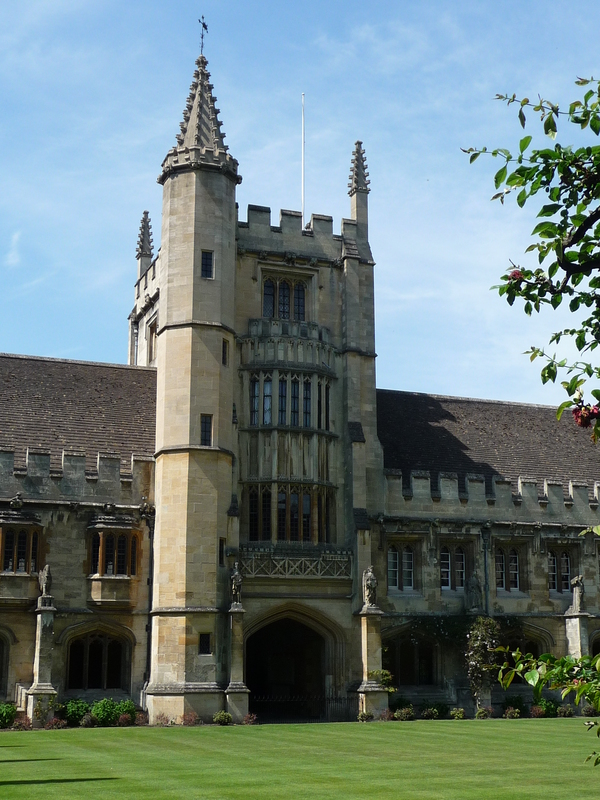 I visited the University of Oxford and saw Christ Church, Magdalen College (surprisingly, Magdalen is pronounced Maudlin here) and quite a few other significant buildings. The history at Oxford is amazing. There is no specific founding date, but teaching has occurred here since 1096, more than nine hundred years ago! 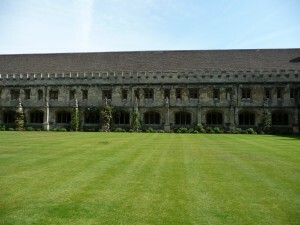 Individual colleges date back well over 500 years and yet all of these places are still in use, with no substantive changes to the principal rooms that are open to the public. 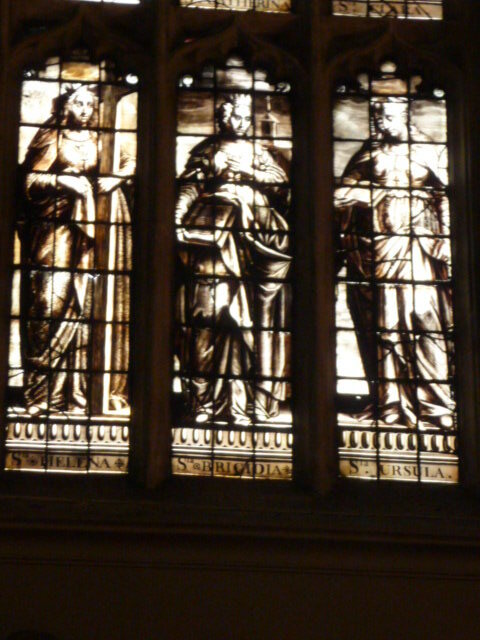 Unusual sepia-toned stained glass window at Oxford. 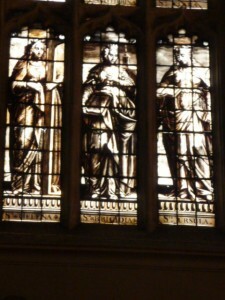 I heard students practicing on organs in two of the chapels. I saw students using the libraries. 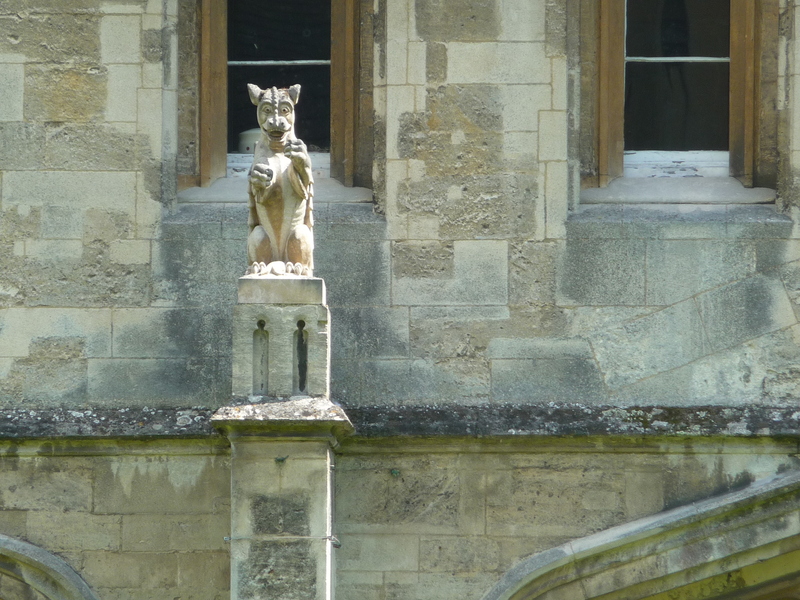 I admired two dining halls that were set for dinner but which looked like they were straight out of Tudor times. 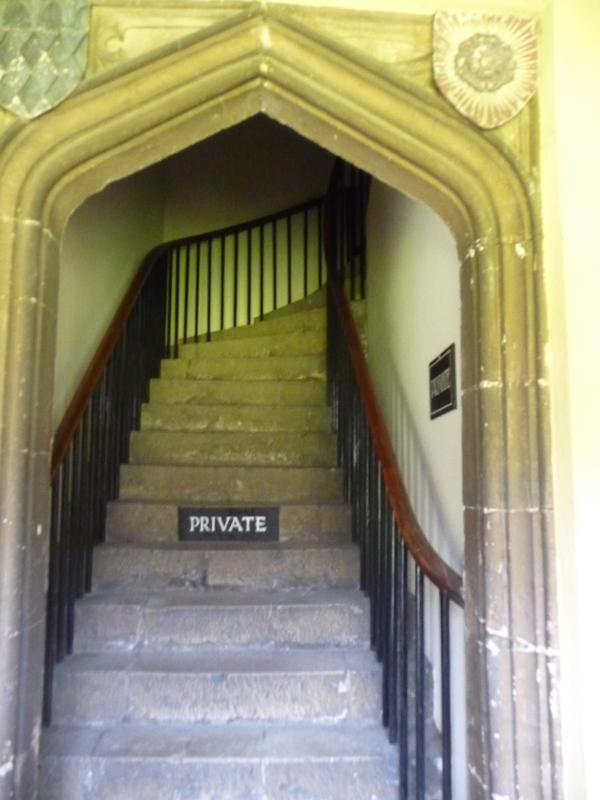 I walked by dorm rooms that are accessed by well-worn stone staircases. 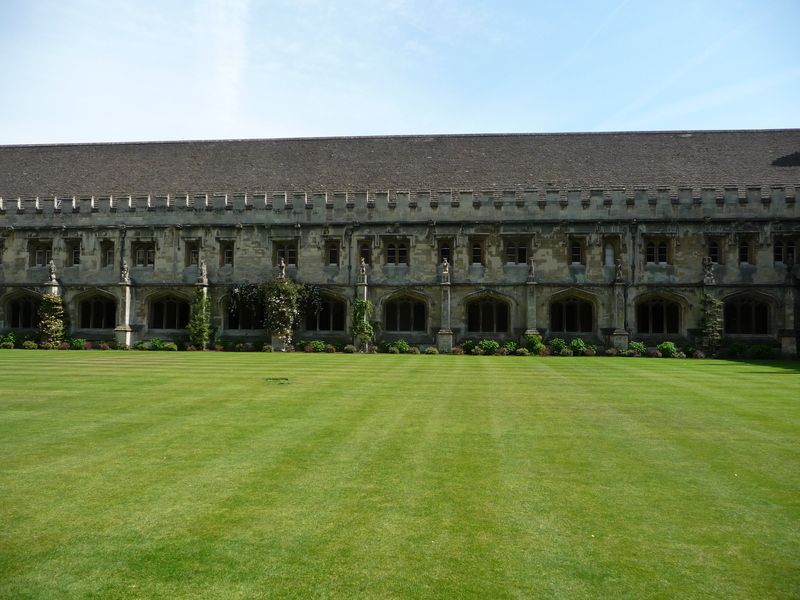 The guides pointed out many places that were used as sets for Hogwarts School in the Harry Potter movies. At Oxford, history is unabashedly celebrated. I would think that a major selling point for recruiting students is not only the excellent academic program, but also the environment. I suspect though that that is just a romantic, wistful dream. Someone who lives here told me the students probably don’t think about the past at all. They are just old buildings to them. I hope at least their beauty is appreciated. Stairs up to student dorms at Magdalen College, Oxford. 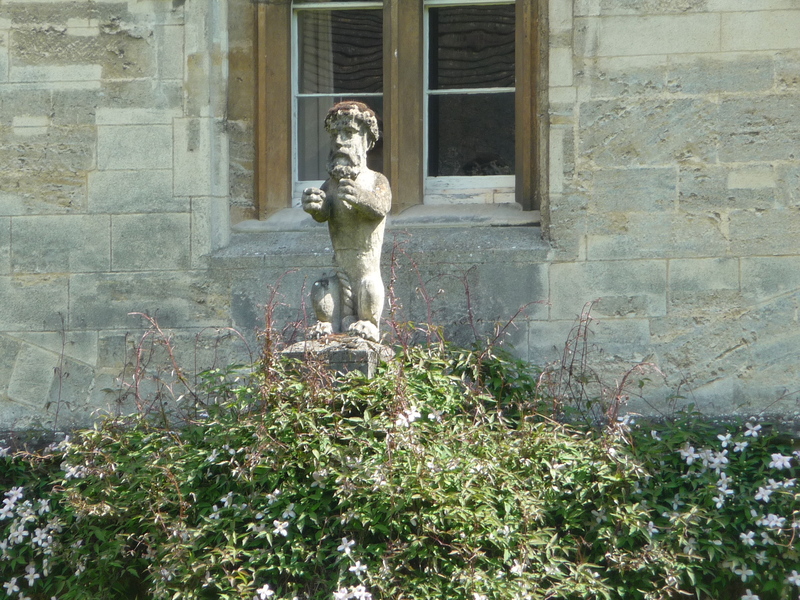 There was a courtyard between CS Lewis‘s rooms and the dining hall that he would have walked through at least six times a day to attend meals, and in this courtyard are statues at least 400 years old that look awfully similar to people and talking animals from Narnia. Did they inspire him? A courtyard at Magdalen College with many statues on the pillars of the arcade. 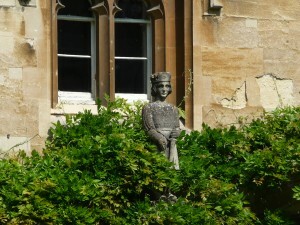 A king from the hall of kings in The Magician’s Nephew? The pub where the Inksters met. 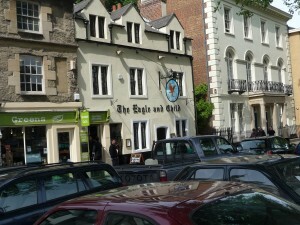 I had lunch at the Eagle and Child pub, which is where J.R.R. Tolkien, C. S. Lewis, and the other Inklings met. 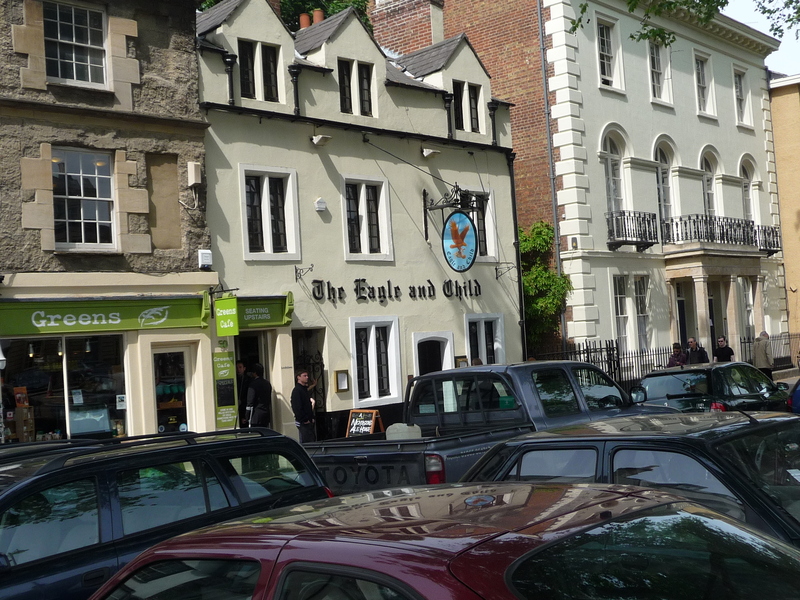 The front half of this pub looks like nothing has changed in 300 years. It consists of three small rooms that would seat perhaps eight people each. I sat in the last of these for my lunch. The back half looks much more modern and includes an atrium-like room. 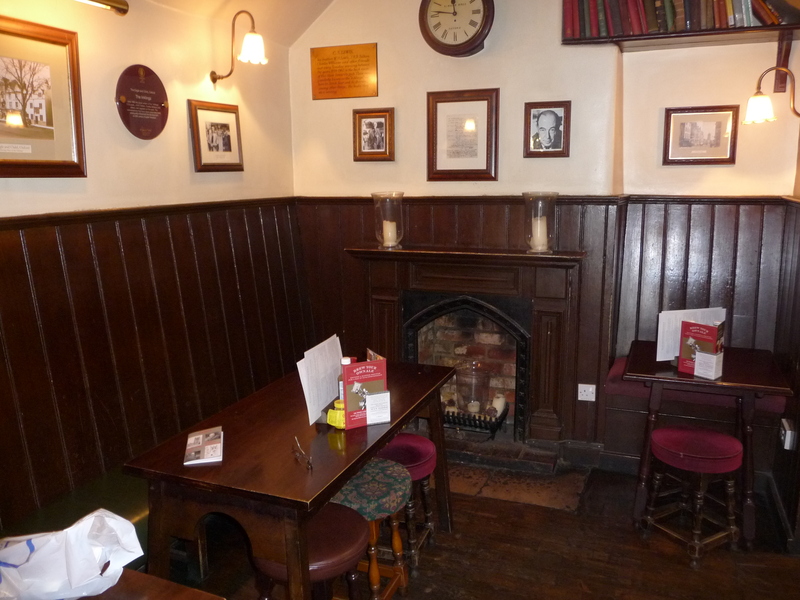 As I enjoyed the aesthetics of a wooden fireplace next to my table, I read that the Inklings sat at the two tables in what was then the back room, the one with the wooden fireplace and their pictures on the wall. I looked at the fireplace and then at the pictures, and realized I was sitting right there! I could almost imagine hearing echoes of Lewis and Tolkien reading their tales of Narnia and The Shire. While I ate, several people came in just to see where the Inklings sat, and one person asked if he could buy a menu as a souvenir. His request didn’t faze the waitress at all. This pub knows that quaintness sells, and has augmented but not replaced the past. 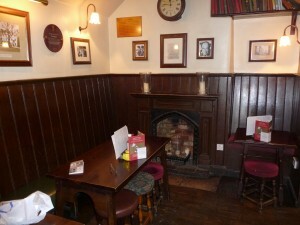 The table where JRR Tolkien and CS Lewis sat with the rest of the Inksters and read their stories. 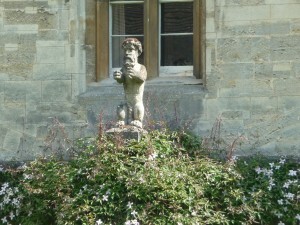 Part of Blenheim Palace. Not a particularly picturesque place. 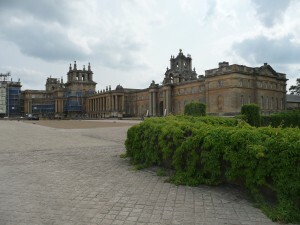 I toured Blenheim Palace, a huge building. It is impressive and you have to admire the effort that went into building it. But it is also over the top with many accoutrements that serve no purpose other than to impress. For example, a Grecian temple-like structure sits on a rooftop. I found it a cold and sterile place, not at all one I would want to live in. It all makes sense, though, when you remember that Blenheim is first and foremost a national monument. It was designed as a display of wealth and power, not of the family it was given to, but of the nation that decided to build it. In priority order, it is only the fifth purpose in the design considerations that relates to its being a family dwelling. Today the Spencer-Churchill family lives in the east wing. The current Duke was in residence while I was there, and from the videos of him he seems like a very nice, but stiff, old man. Once a year, on Christmas Eve, he and his family have dinner in the dining room, the only time it is ever used. Blenheim feels like a museum with a live-in caretaker family. I actually felt sad as I left it. Maybe it was the English Rococo style, which is much too heavy and ornate for my taste. The building’s exterior is decaying, but a lot of restoration is being done, and all of it is paid for by the Duke. There is not a penny of government support for this significant piece of history, so I’d say the Duke is a shrewd and careful businessman to pull it off. Every use of Blenheim Palace today is subordinate to its primary role as a showplace for the British power and wealth that existed a few centuries ago. My Dad’s family all came from the Islington area of London for several generations before my grandfather, Alfred, emigrated to Canada with a brother in 1912. Earlier though, the Pellowes came from Cornwall, where Pellowe or Pellow is one of the most common Cornish names. A recent study showed that Pellowes are most highly concentrated in Penryn, but also have high concentrations in Falmouth and Camborne. 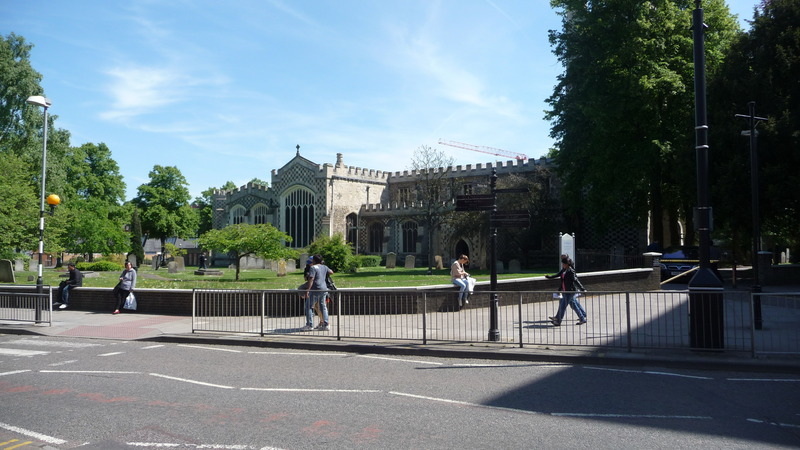 The Pellowes migrated to London sometime before the mid-1800s. My Great-great-grandfather, William Pellowe, lived here. 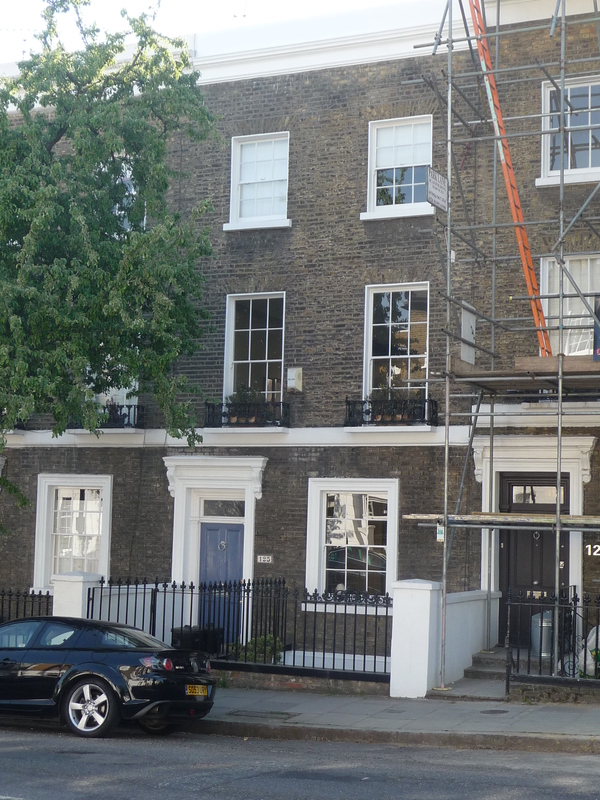 I saw the row-house that my great-great-grandfather William Pellowe lived in with his family, including his son Edmund, from whom I’m descended. It’s still a house. My paternal grandmother grew up here. 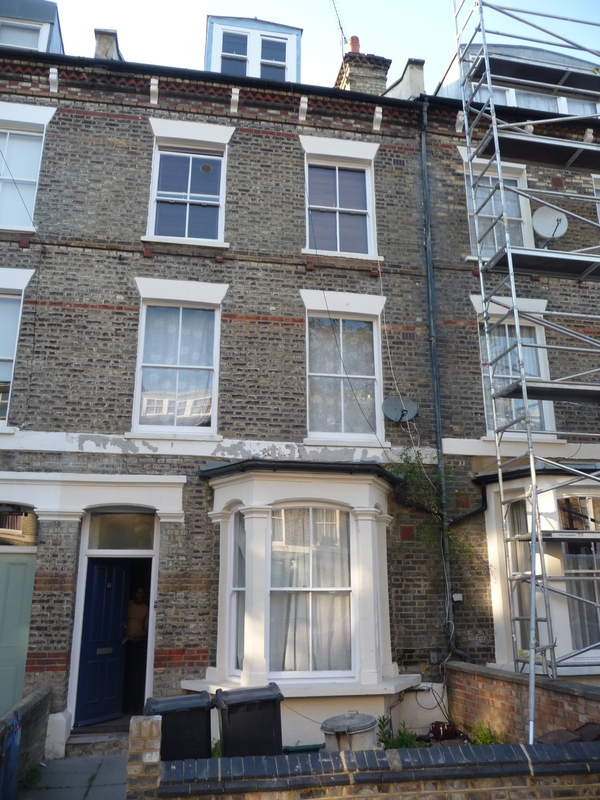 I also went to see where my paternal grandmother grew up, a row-house that is still a residence today. I discovered that the residence of another great-great-grandfather, Peter Gentle, had been knocked down to put up a modern office building. If the old building was like all the others on the street, he would have lived in an apartment over a store. Another great-great-grandfather, Peter Gentle, was an umbrella maker, and he worshiped here at St. John the Baptist church. All of the churches that family members attended that I could find (five) are still churches. One has been gutted and is more like a gym than anything else, but it is a church. So, it has been quite enjoyable to see such architectural treats and to see how people use them today, modifying and adapting, or in a few cases, selling or destroying and then rebuilding. It sure makes for very interesting streetscapes!